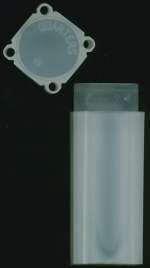 We carry A huge selection of tubes to store your bulk coins in. Listed below are the available sizes. 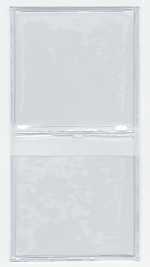 The coin tubes we carry are square, so they stack easily and don't roll around on you and opaque to help keep light from toning your coins. 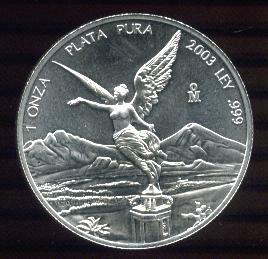 Two by Twos are the old standby for packaging coins. Just insert coin, fold and staple. Make sure you use some pliers to squish the staples afterwards, else they scratch coins stored next to them. Available in sizes to fit silver dollar and smaller. 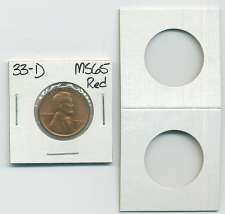 The picture shows a 2x2 before and after a coin has been installed. Coins Not Included. One and a half by one and a halfs are the smaller version of 2x2's. Just insert coin, fold and staple. Available in sizes to fit Half Dollar and smaller. Make sure you use some pliers to squish the staples afterwards, else they scratch coins stored next to them.The picture shows a 1.5 x 1.5 before and after a coin has been installed. Coins Not Included. 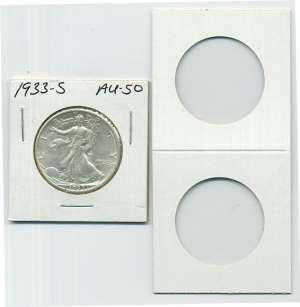 Vinyl 2x2 FLIPS hold any size coin Silver Dollar and smaller. These come 100 to a pack and inclued insert cards (not pictured) so that you can write a description on each holder. Coins Not Included.